As much as I love my backyard, summer is just too hot and humid to really enjoy being outside. The weatherman is saying this is our last week of near 100 temperatures, so I am looking forward to spending my fall evenings sitting on my back patio, burning wood (and marshmallows) in our fire pit, and relaxing while I watch the leaves fall from the trees. We've spent so much time indoors working on the renovations to our farmhouse, that we've really neglected the yard this first year in our home. I just discovered Promotion.com and I'm working on a wish list of items I need (and a few things I just want). You won't believe the bargains on Promotion.com! Every farmhouse needs a wishing well, don't you think? 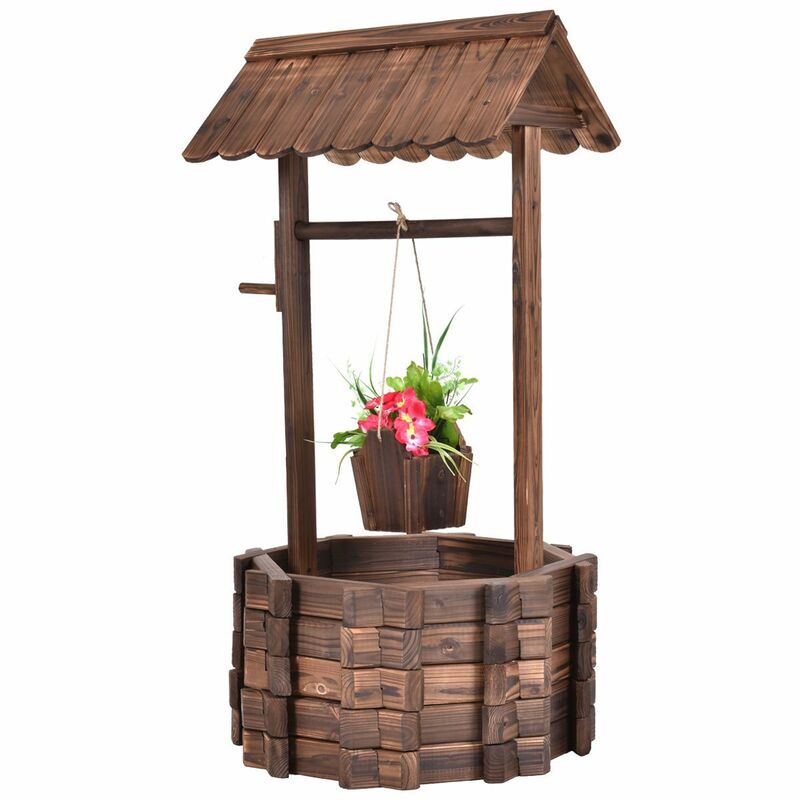 This wooden wishing well is a beautiful addition to any yard, front or back, and even comes with a hanging planter bucket. This artful design gives you the opportunity to decorate with the seasons. Fill it with pumpkins for fall, plant a poinsettia in the bucket for winter, and fill the well and the bucket with vines and flowers for spring. There are so many possibilities! 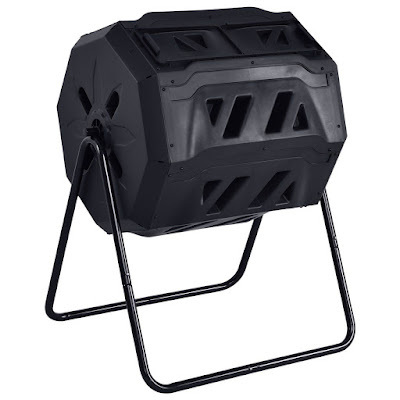 Okay, so compost is not pretty, but this composting tumbler will make your spring flowers grow like crazy and your summer vegetables tastier. Don't throw away kitchen scraps; just toss them in the compost tumbler with cut grass and fallen leaves (and chicken droppings). Turn it every couple of days and in just weeks you can feed your plants with compost. Ever since we moved into our farmhouse last fall, I've wanted a small flock of chickens. This fancy 60" Large Deluxe Wooden Chicken Coop is like a high-class hotel for chickens! 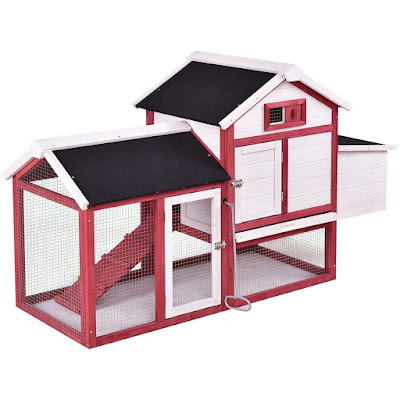 It's also a great home for ducks, rabbits, quail, and more. It will keep the chickens safe when they aren't roaming the yard, gives them a place to lay their eggs (and an easy-open door to collect them), and honestly, it's the cutest chicken coop I've ever seen. 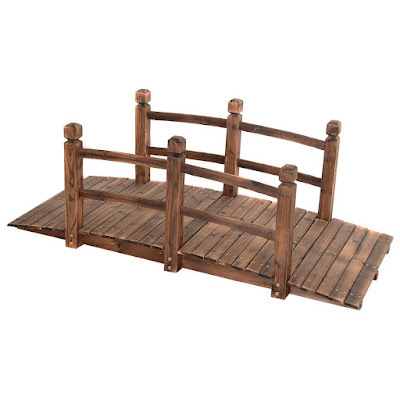 For some, a wooden garden bridge may seem frivolous, but for me, I know exactly where I'd put this charming 5-foot long wooden bridge. I live in a small town of 250 people, so we don't have sidewalks or even pavement on our street. We do have a drainage ditch for rainwater that runs alongside the gravel road, and our mailbox is on the other side of the road. This bridge would be absolutely perfect perched over the ditch, so I wouldn't have to leap over it to get to my mail! Can you imagine how pretty it would be with holiday garland draped over the railings? A water feature in the yard is like the cherry on a sundae! I absolutely love the style of this 2-Tier Outdoor Barrel Waterfall Fountain with pump. It's perfect for a farmhouse, or any house for that matter. It provides the birds and squirrels with fresh moving water and offers the peaceful sounds of a waterfall. 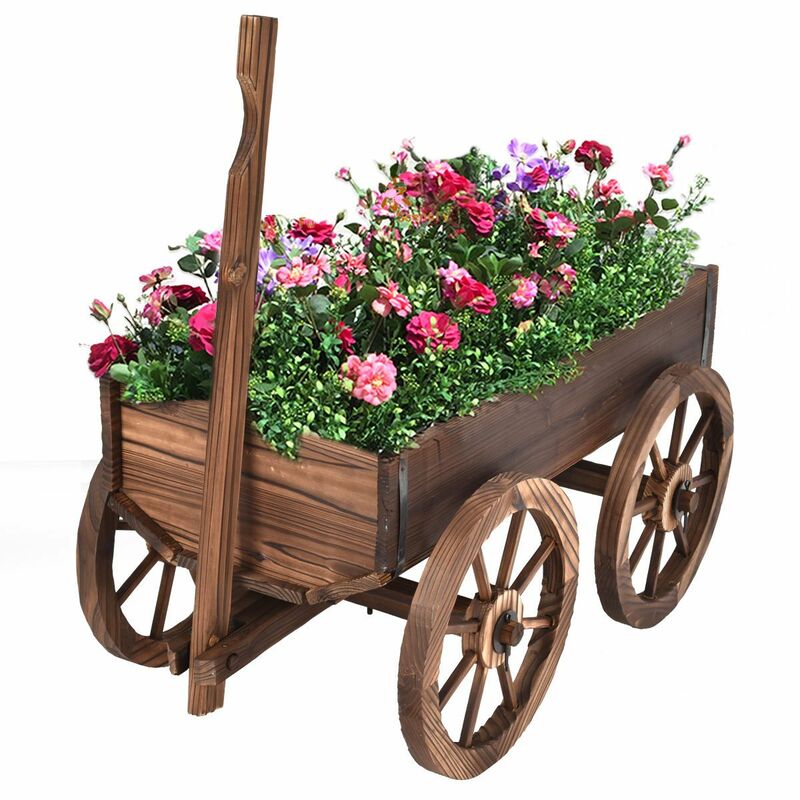 Set it up on your patio or tuck it into a flowerbed so that flowers grow up and around it during the spring and summer. I think this is one of my absolute favorite items at Promotion.com! It's a beautiful wood wagon with wheels that roll, a handle that moves up and down, and even a couple drain holes, but I can see this wagon as so much more than a flower planter. 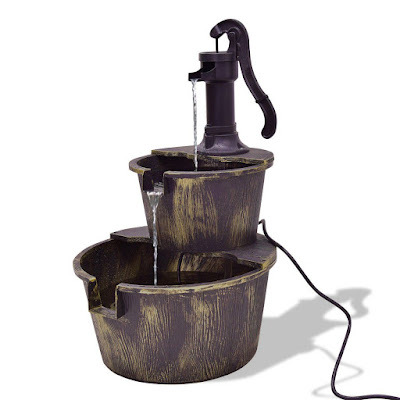 This is the perfect home decor item for a farmhouse! I can put it in my entryway for fall, filled with pumpkins. I can put it near my Christmas tree and fill it with gifts. I can put it in my kitchen to hold cookbooks and large serving trays that don't fit in the cabinet. I can put it in the bedroom, drape a blanket over the side, and fill it with throw pillows. I think this will definitely be the first thing I get from my wish list! My kitchen desperately needs a step stool because I have upper cabinets that I cannot even touch if I'm standing on the floor. I have nine foot ceilings and the cabinets go all the way up to the ceiling. We had purchased a metal one that is just too heavy to lug around and too big to store in the kitchen. This Folding Multi-Functional 3-Tier Ladder Wood Step Stool is lightweight, sturdy, and beautiful. 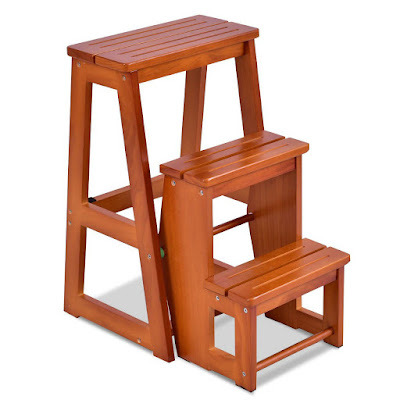 Plus, the lower steps fold up into the stool so that it becomes a handy extra seat! 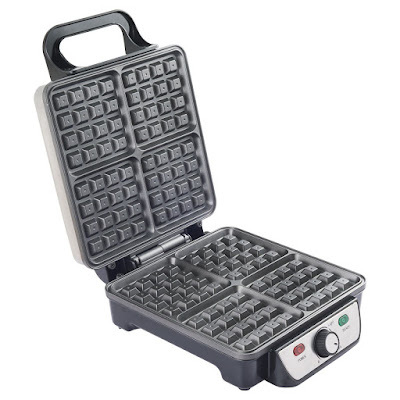 Okay, so I really don't NEED one, but this Stainless Steel Waffle Maker does more than just four waffles at a time. Did you know that you can cook other things on a waffle maker? Scramble up some eggs, pour it on the waffle maker, then add shredded cheese, and chopped meat and veggies, for a waffle omelet. Need something fast and filling? Toss a bunch of tator tots on the waffle maker, and add some cheese and bacon bits to make baked potato waffles. You can even use prepackaged items like pre-made chocolate chip cookie dough or pre-made cinnamon roll dough. The possibilities are endless (and delicious)! This food dehydrator is the ultimate food-saving kitchen tool. 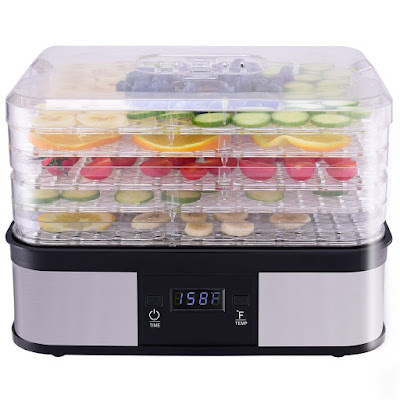 This 5-Tray Food Dehydrator with Timer Temperature Control can help you reduce your food waste, help you keep your summer fruits and vegetables in storage longer, and help you have healthy foods available when your family wants a quick snack. Make delicious dehydrated fruits, vegetables, meat, seafood, seasonings, and even crude medicines. Just think how much money you will save! There are so many wonderful products at Promotion.com! 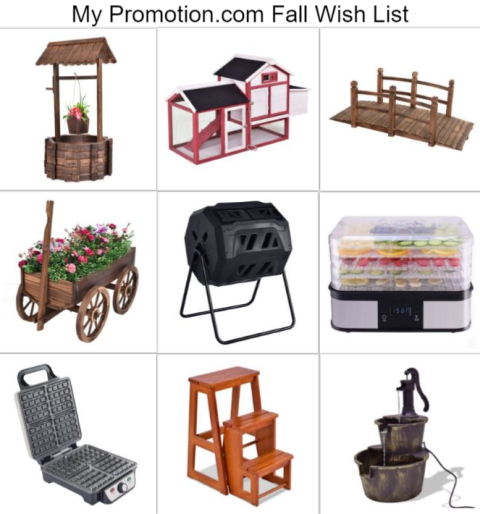 Aside from my wish list items, they offer furniture for every room of your home, electronics, kitchen appliances, home decor, pet supplies, sporting goods, health and beauty supplies, items for baby, toys, hardware and tools, bedding, and much more. All of these brand new, high quality items are available at rock-bottom bargain prices, plus super fast delivery! BONUS! Use the promo code PROM and save $5 off a $50 purchase, plus free shipping on everything on their website!